On December 16, 2016, Terry & Thweatt, P.C. 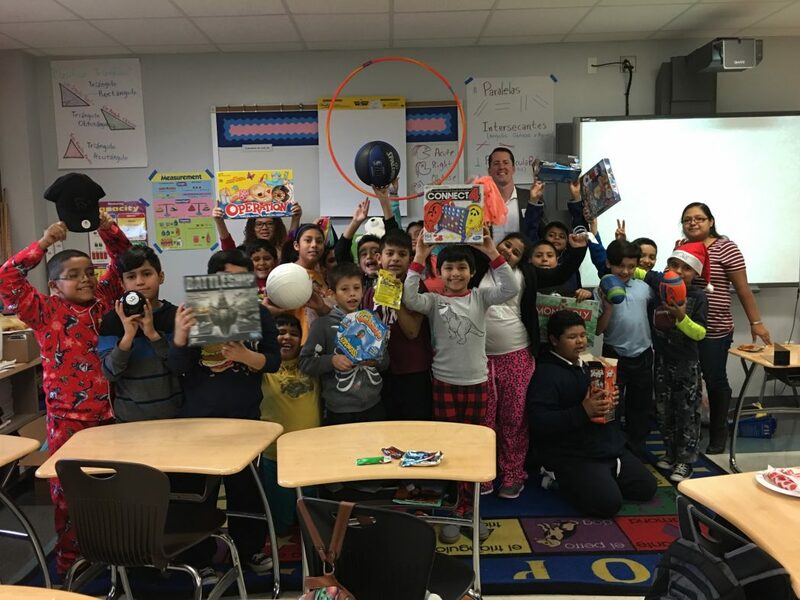 sponsored a 4th Grade Class at JFK Elementary School in conjunction with the annual Christmas Party hosted by the Houston Trial Lawyers Association. Over 700 school children from 35 classes enjoyed gifts and snacks donated by participating members of HTLA. Terry & Thweatt, P.C. sponsored Mr. Porras’ 4th Grade Class this year. Thanks to all of the staff and teachers at JFK Elementary, as well as to all of the members of HTLA who volunteered their time to this special cause.